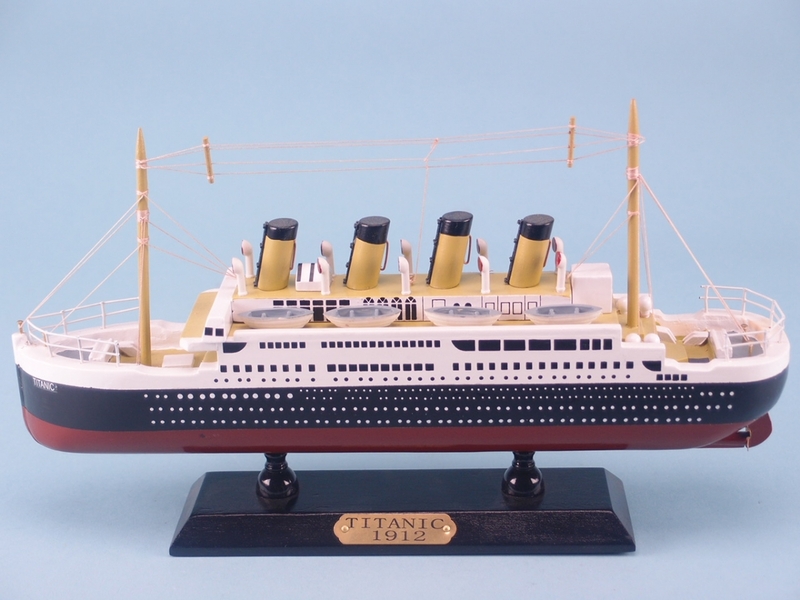 A beautifully hand crafted wooden model of the Titanic measuring at 30 by 18 centimetres. The RMS Titanic was a legendary British passenger ship launched in 1911 that sank during its maiden voyage after colliding with an iceberg. The subject of this disaster has been the subject of much discussion and media, most notably the 1997 film Titanic starring Leonardo DiCaprio and Kate Winslet. 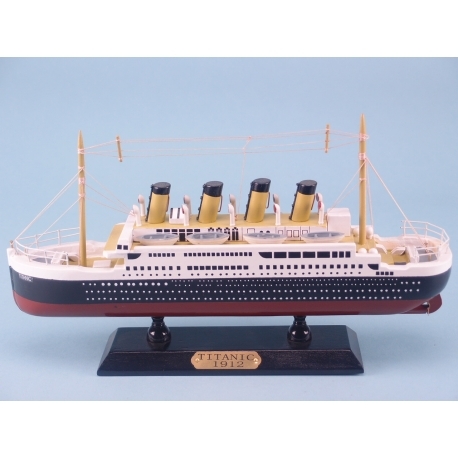 You will now be able to own a piece of British naval history by purchasing this Titanic model from SDL Imports. Measuring at 30 by 18 centimetres and placed on a wooden stand with a gold plaque, this will be an ideal display piece for any living space, especially a room with a nautical theme already in place.